Greenday---Where are there types now? the later years. 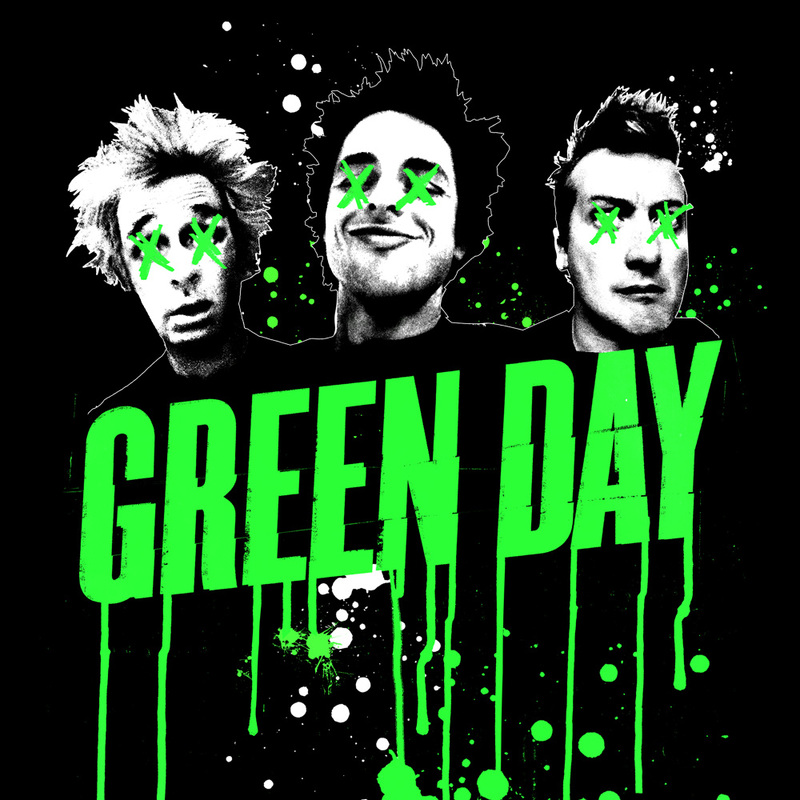 Thread: Greenday---Where are there types now? the later years. I know that everyone likes to type him as an ENTP and say that, "oh for sure, it's Ti-Fe" it's the only possible combinationss!1. But I really can't help but think I see some Fi a bit, and the reason why though is that even though he writes a lot of songs in regards to social problems or issues that exist in the world, they are from a first person perspective. "Walking Contradiction" for example, is often mistaken to be about himself, but it's actually some kind of idea he came up with about how so many people and the world is in itself hypocritical. So, he came off like this "Basketcase" (no pun indented) and is often thought of as whiney (and this is commonly what Fi is mistaken as or for) but again, it was more so just always from the personal perspective. He was also a hopeless romantic and much of his earlier work were all about love, especially unrequited love. I think more "well-rounded" and mature Fi can sound very similar to Ti and the two can be mistaken for each other. Also, they all grew up on the streets (literally) and were "real" punks and 'hoodlums' and thus I believe they are kind of 'tough' seeming in that way, and I believe many people who have not grown up like that mistakenly stereotype those who give off that impression as possibly being different then how they are. You know, "ISTP, they have to be ISTP's! Tough! Street-smart! Punk!" And Billie Joe's favorite band (one of them..?) is The Ramones, and it is well believed that without a doubt Joey Ramone was a typical INFP. Bands like "Rancid" are more in the range of what I would say are very XSTP/SP-oriented bands. If he is a T, then why is there such a focus on emotions? why aren't they harder and more underground/stereotypically masculine? Stuff like that...which just makes me wonder. "I fell asleep after watching spike tv and drinking 10 cups of coffee and you're still not here. Let me here alone...and I should have stayed home, after 10 cups of coffee I'm thinking. Nobody likes you. They're all out with out you, having fun. Well nobody cares, well nobody cares, does anyone care, if nobody cares?" How is it Ti? I'm sorry, but F's don't just write about being hopeless romantics and how emotionally difficult the world is. They're intuitive and they write emotional conceptual lyrics based off of their own thoughts. Wtf? I think often times it's actually the opposite, and it's the XSFP's that do this. Oh and guess what, you can't take away it's significance by saying that it's "only for kids/teenagers" because it's not. The whole idea behind Boulevard of Broken Dreams is such an Fi concept. The whole thing, "I walk alone, I walk alone" and the whole song/lyrics. It's the kind of thing that everyone writes off, calls whiney and says is self indulgent and absorbed sounding. It's in no way Fi. He's not some shallow marketing genius writing sappy pop songs for depressed over hormonal teenagers, with the amazingly long tentacle-y long spindly reach of the only one and true (thine holy in father's name) of the one and only mecha-god function Fe (religious hymn echoes from sky at any mention of it) Fe would hardly ever write something like this. He gets typed as a 6w5 alot, but I could easily as well see 3w4, because there seems this undercurrent of showmanship. Anyway, it's very obvious where the preference may lay in regards to Western culture, ROFLMAO!!!!!! Omg, Okay I think I see ENTP more now. Perhaps I just hate being an INFP, sometimes. I have to say though, I am pretty shocked at the range and ability to write songs from all kinds of different perspectives and topics, and to be seemingly so heartfelt or then write something very analytical and thought provoking underneath the infectious bouncy pop melodies. I suppose I just felt like disputing it because I feel like Fi gets a bad rep sometimes and is perhaps a little misunderstood at times. I think with ENFP's though, and like with most extroverts, they are often seemingly more grounded in the real world and I imagine that many of them are more prone to being a bit more logical or analytical. I was just sort of thinking about this list. Even with Kurt Cobain who is largely thought of as an INFP, has been commonly typed as INTP as well, to which I wanted to point out that Feelers can be just as logical, the only difference is the place that they start or are coming from, versus what the end result is. But of course, what logical confluscions do feelers often reach in comparison to T's? I think in particular, American Idiot(The album) has always just oozed NF-ness to me, and there's this weird Tim Burton esque gothicness the band has as their aesthetic now, and it just makes me think...yeah, there's an NF thing in there. It's just not stereo typically or so blazingly apparent as some. But anyway, they remind me of The Ramones a lot as well. I think the genre of punk rock just seems T-ish to a lot of people who don't know any better. I think it just has to do with being savvy and street smart. I think a lot of people make the mistake of being overly simplistic (almost black and white) and stereotypical when understanding Fi most of the time....It's not these two separate functions, Dom introverted thinking, and then INFERIOR feeling (because he's a bratty punk, of course it's inferior feeling, right?) it's extroverted intuition and then introverted feeling. THIS SONG, is really Fi to me. I mean, in all honesty, a lot of Fi users are probably pretty drawn to punk rock because it's all about being "true to yourself" and "going against the grain" and being authentic at all times. Lawlercatswtfcoolwhip? THE AUDACITY. One last post, I think these videos are vaguely similar and it's kind of cool/interesting. I think Billie Joe is an ENFP too, tbh. I think people think NFP's can't be that outspoken but I think sometimes they're less people-pleasing than NTP's. He definitely has a strong, individualistic value system (Fi). Well I don't see Richard Dawkins atheist "Rockstar!" debating all across the country, to show the world just how inferior their logical their thinking skills are. Cool thread. I need to listen to Boulevard of Broken Dreams now. You reminded me of how much I love it. [Enne] Are there people who don't fit into any of the Enneagram types?